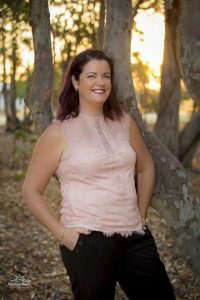 Zaneta Fitzgerald is in demand most weekends as a professional wedding celebrant and beauty expert as Rainbow Beach becomes more and more popular for people to say, ‘I do’. As the only celebrant living permanently in Rainbow Beach, Zaneta hopes to build up her business so it becomes a fulltime concern. 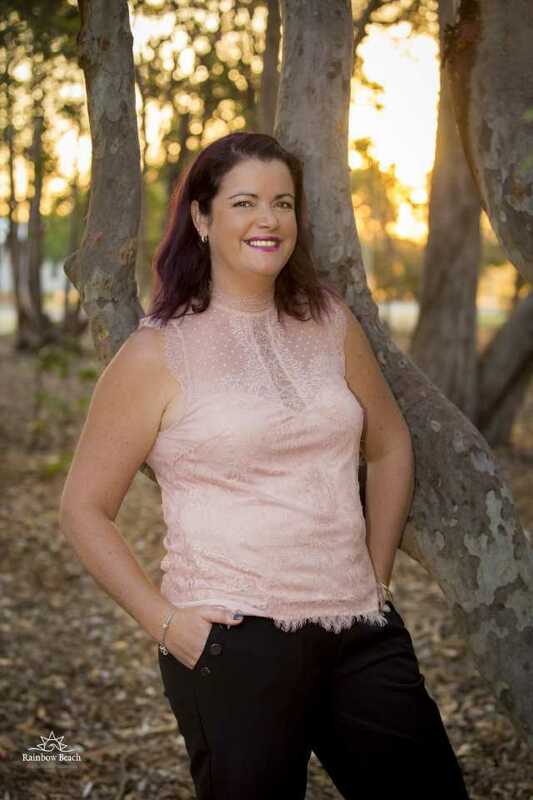 “I have participated in mentoring sessions and attended the Gympie Wedding Expo to expand and market my business. “Attending these events is a great way to connect with more locals involved in the wedding industry,” she explained. Zaneta has lived in Rainbow since she was twelve. Along with the Rye, Mitchell and Parton families, she was one of the first students to attend Rainbow Beach Primary School. Married to local identity, butcher Scotty Fitz for fifteen years, the pair have two children and she is more than happy for the kids to grow up in Rainbow, attending the same school as her. “When Bailey and Kody are in high school, I really want to be able to be there for them and this is a fantastic profession to do that. And if being a mother of two growing boys and getting a new business up and running isn’t enough, Zaneta has also run a home-based beauty business, ‘Serenity Beauty’ for the last eight years. “I work about two days a week, mainly with regulars but since having my website up and running, I am getting more backpackers booking online. “They usually book a manicure, pedicure and facial so that side of my business is going really well,” she said. So if you or a loved one are planning on tying the knot, renewing your vows or organising a naming day, get in touch with our local girl – she can marry you and she can make you look and feel a million dollars!